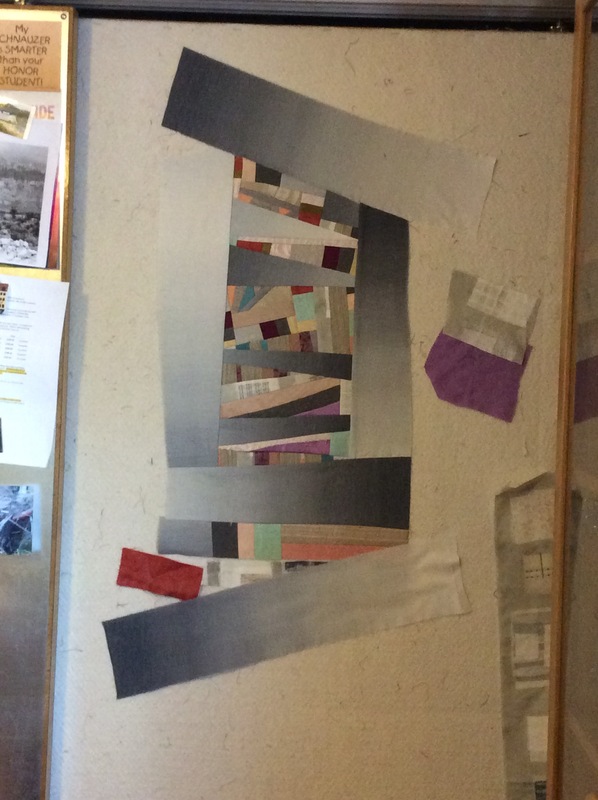 Update: If you would like to see the completed quilt top for the abstract art quilt piece I discussed in What’s on the Design Wall: Working Through a New Art Quilt Piece, check out the post on The Wardrobe Meets the Wall blog In Progress: Abandoned Structure. It is awaiting quilting mastery by Betty Anne Guadalupe my collaborator in the The Wardrobe Meets the Wall. In a previous post What’s Was On the Design Wall: Rescued Blocks I discussed the pleasures of working with “abandoned blocks“. Abandoned quilt blocks are blocks that another quilter does not want and gives to you or you find at a thrift shop or garage sale and decide to adopt! Recently a quilter friend gave me a cool stack of batik freely pieced abstract blocks that she no longer wanted to work on in addition to a pile of coordinating scraps of fabric. I love batiks and I love her combination of colors so I was very excited to adopt these blocks! As a bonus I discovered that the trees that I printed on batik fabric during a fabric surface design workshop I took in April (see post What’s On the Design Wall: Fabric Surface Design Experimentation), appear to work well with the newly adopted blocks! Below is the piece in it’s very early stages (I threw all the adopted blocks and my tree printed blocks up on the Design Wall in a random manner) and we’ll see how the piece progresses. You know I will post updates. My friend who also likes working with abandoned blocks (she collects them from thrift stores, garage sales and guild meetings) and I joke about someday having an exhibit of our collection of pieces made from other’s discards! Before becoming a blogger, I did not follow many blogs. Now I find myself following many interesting blogs, including one by a fellow quilter/crafter knitNkwilt. Thanks to one of her recent posts I was introduced to a wonderful website Play Crafts and their free online tool Palette Builder 2.1! 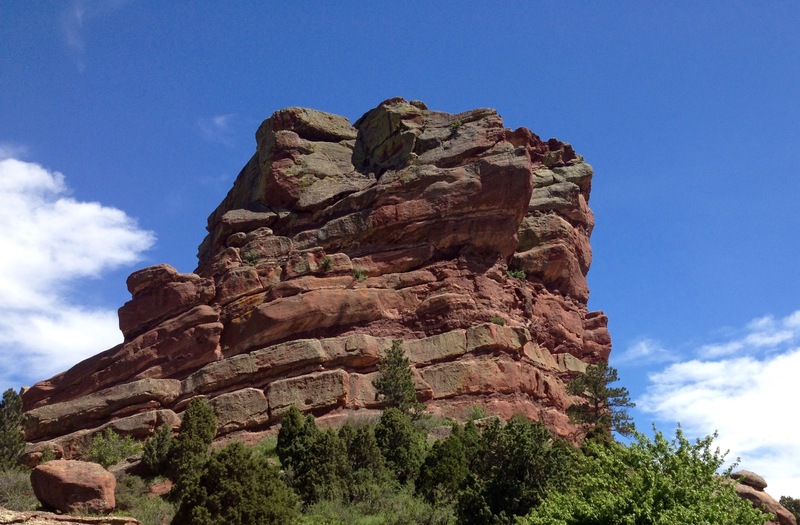 In my post Creative Inspiration: Nature, I discuss how the colors in a photo from Red Rock Canyon State Park inspired an abstract art quilt I created. I manually determined what colors were in the photo and matched them to fabric in my stash. 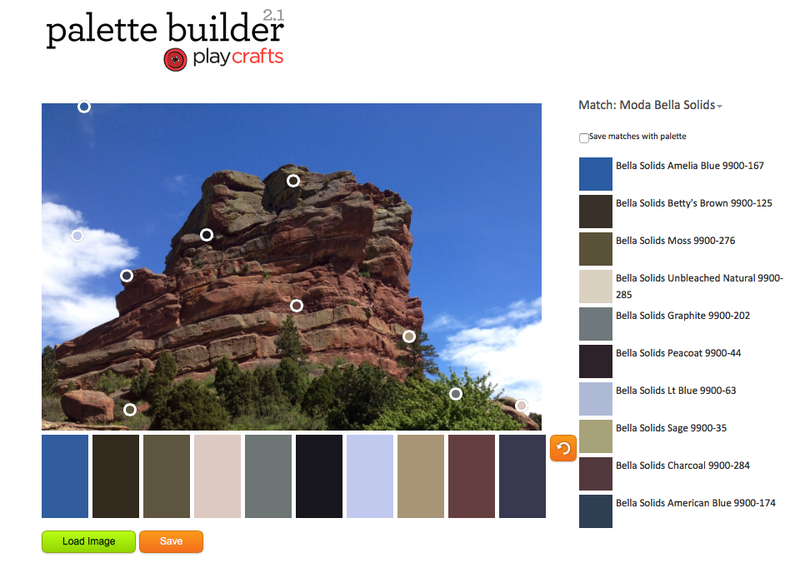 Play Craft’s tool Palette Builder 2.1 identifies the key colors in a photograph for you automatically and for free! Palette Builder has identified the palette for a piece based on the photo. You could use this palette to create a painting or to design a textile based piece inspired by this photo! Palette Builder appears to be connected with Moda Fabrics (one of my favorite quilt fabric manufacturers) and lists the specific Moda fabric that corresponds to the color identified in the photo. If I were working on a piece based on this photo, and say using batiks, I would add in additional tones and shades of the colors suggested to include a forest green color for the foliage and perhaps another shade of brick red. However this tool gives you a great place to start on your palette – for free! I am looking forward to using this tool in designing a future textile piece based on a photo that inspires me creatively! This weekend I worked on a new abstract silk art quilt piece: Abandoned Structure, inspired by a photograph of an abandoned water power plant in Central Oregon. The water plant is called White River Falls Power Plant and it is located at White River Falls State Park in the Tygh Valley of northern central Oregon. 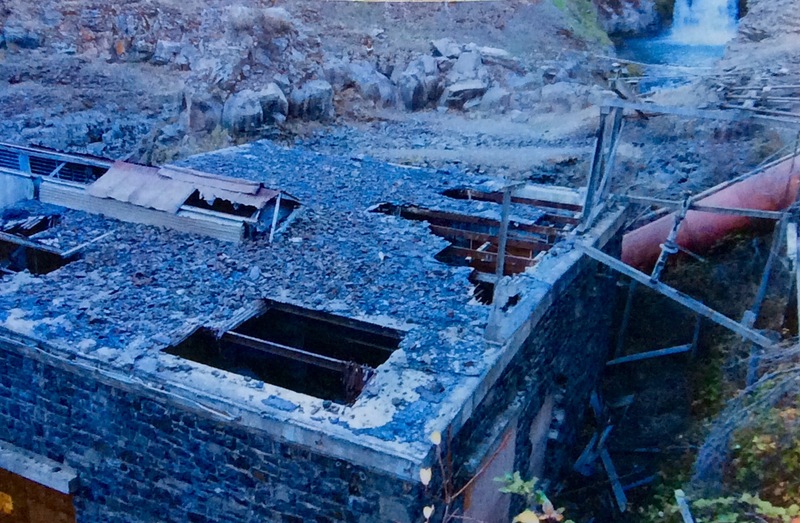 Here is a link to an article, Nature and modern history mix at White River Falls, by station KATU on the history of the hydroelectric dam and powerhouse that was built in 1910 and decommissioned in the 1960s. By the way, this post could have also been a continuation of my series on Creative Inspiration, as here is an example where I was inspired by a structure to create an abstract art quilt. Note: I refer to the piece I created as “abstract” as it is not a pictorial recreation of the structure but my interpretation of the feeling I get from the photograph. I am using recycled garment silks, recycled lines, and some of the Elite Gelato variegated gray fabric I used to carry in my Etsy shop (the bolt ran out except for the 2 yards I kept for my own use). 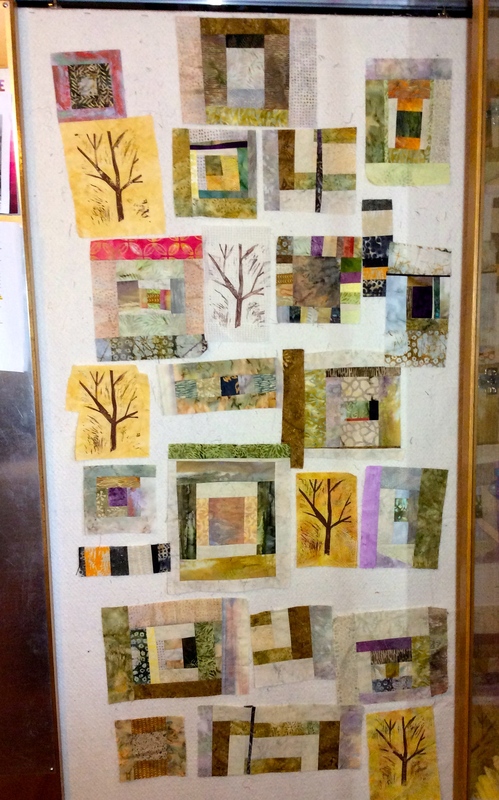 I will post the completed quilt top on The Wardrobe Meets the Wall blog as it will be part of that collection. In my original post This is the Story of a Quilting Husband I share how my husband Terry started quilting last year, made a flannel quilt for his Mom, and then a T-shirt quilt featuring some of his favorite brewery and “microbrew appreciation” T-shirts. 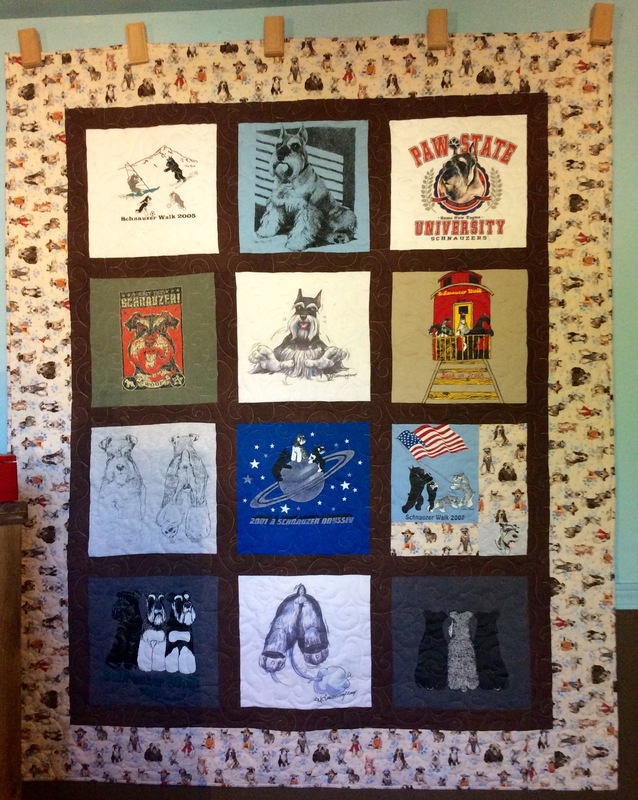 He seems to be obsessed now with the idea of T-shirt quilts and has turned more of his large old T-shirt collection (and some of mine) into another quilt – this time a Schnauzer Themed T-shirt quilt! 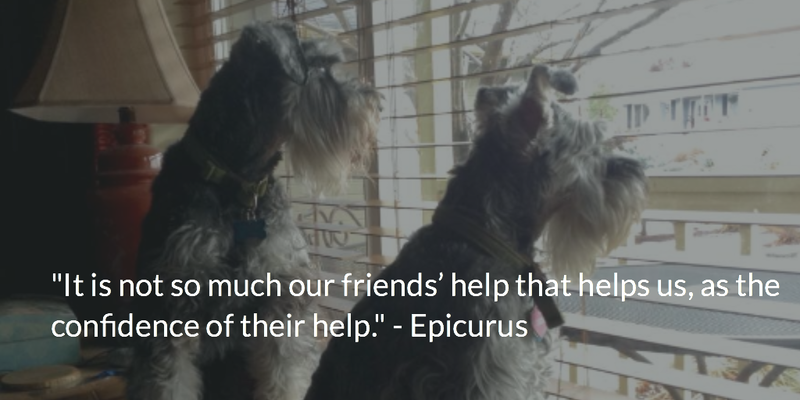 If you read our dog Sassy’s blog Schnauzer Snips you will see that we adopt rescued miniature schnauzers. We have been miniature schnauzer aficionados for about 22-23 years. Terry is the kind of guy who will proudly wear a schnauzer T-shirt in public even if it has a “high cuteness factor”. He does not care, he loves all schnauzers (they come in three sizes – Giant, Standard, and Miniature). His latest T-shirt quilt is a collection of 11 of his schnauzer T-shirts and 1 of mine! Check out Sassy’s companion post on this quilt in her Schnauzer Snips page. We got the quilt back from the long-arm quilter and had it draped over the ironing board and our miniature schnauzers Sassy and Mike decided it was perfect for a nap! Continuing my series on exploring sources of creative inspiration. In my previous post on creative inspiration, Creative Inspiration: STRONG and BOLD Color, I discussed the influence of strong and bold color in design or fabric selection for a textile art/quilt. Another source of creative inspiration for me is color combinations. I could go into a technical discussion of the color wheel, complimentary colors, split complimentary colors, etc. but for me it is all about: what colors looking visually appealing together. I do not focus on the “why” they look good together, I focus on the “oh yeah!” those colors look good together. While designing my recycled silk and linen art quilt, Flying Triangles (2012), I went into a “color combination frenzy”. My mind was putting together cool combinations of different recycled silk and linen scraps faster than my hands could put them up on a design wall. I so inspired by a huge palette of colors to select from and audition together. Each pleasing combination inspired me to continue my design process. Flying Triangles (2012). Designed and Pieced by Tierney Davis Hogan. Quilted by Betty Anne Guadalupe. Photography by Jeremy Koons. My recent adventures in trying to sell fabric on my tierneycreates Etsy shop has made me realize I never want to own or work at a quilt shop. People who own and/or work at quilt shops are magical and I am more in awe of them than I was before my fabric selling adventure. I had heard from other Etsy sellers that the more items you had listed in your Etsy shop, the more visitors you would get to your Etsy shop’s page. My original plan for the tierneycreates Etsy shop was to primarily sell my handmade items and to offer some vintage items (vintage Barbies, etc.) from my personal collection. However due to a pesky thing called a full-time health care industry job (which I appreciate keeps the lights on) I have not been able to make as many handmade items for my shop as I like. Plus I want to make useful, well-crafted, items and not try and mass produce anything. After all there is a reason why people go to Etsy for handmade items. So how do I add more items to my Etsy shop so I can attract more visitors to my shop? It was my tierneycreates byline that got me thinking: “a fusion of textile and smiles“. I could sell textiles! I surveyed other Etsy shops that sold fabric and thought – I could do that – I could sell fabric on my shop. One major concern popped up: I have small house with limited storage – where would I store bolts of fabric? Another concern: What if no one likes the fabric I carry in my Etsy shop and then I am stuck with all this fabric? 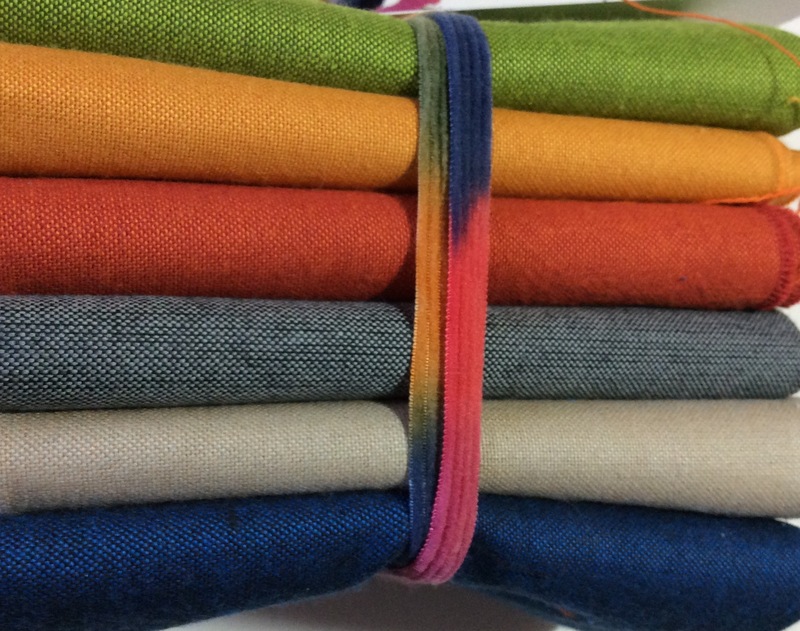 Then I had an idea – I would purchase only bolts of fabric that I would like to use in projects. So if I was stuck with a bolt of fabric that did not sell well, then I could use it in textile projects. I would be very selective only stocking unique fabrics, while increasing the number of items offered in my Etsy shop. I found a collection of fabric I wanted to offer in my Etsy shop – Peppered Cottons by Pepper Cory. Peppered Cottons are a twist on cotton solids and are like solids with spice! They are considered “shot cotton” as the threads in the warp (lengthwise threads) and the weft (side to side threads) are woven in different colors. This creates to an iridescent or chambray look and the fabric takes on takes on different colors depending on the angle that you are viewing the fabric. In addition to fabric by yard, I thought it would be cool to try and create fat quarter collections to offer on the shop. If you are not a quilter, a “fat quarter” is a pre-cut section of fabric measuring 18″ x 22″. It is created by cutting 1/2 a yard of fabric along the lengthwise grain (quilting fabric is usually 44″ wide) and then cutting it in in half widthwise. Fat quarters are sold to quilters in coordinating sets of 4 or more fabrics and are a great way to sample a fabric collection. For many years one of my favorite things to buy at quilt shops were fat quarters. I had watched quilt shop staff cut fat quarter sets. I know how to cut fabric with a rotary cutter, I know how to measure, I thought I could take on cutting fat quarter sets no problem. Cutting fat quarters nearly broke me. It was not easily learning to accurately cut fat quarters and it took a long time to make up four sets of 6 fats quarters. I wasted some fabric in fat quarter cutting disasters. Finally I got the hang of it and became accurate but it was so much work. I realize I would never want to own a quilt shop or work at a quilt shop and cut fabric. I am pleased with the carefully curated fabrics I am offering on my Etsy shop, but once they are sold out I am not going to sell anymore fabric by the yard or cut my own fat quarter collections. I may continue to occasionally offer a cool pre-cut “jelly rolls” (collection of 40 – 2 1/2 inch strips used to make quick quilts) in my shop but my days of trying to be a miniature quilt fabric shop are limited! I have coworker (in my non-crafting, health care industry day job that keeps the electricity on so I can blog) who likes to say: “Sometimes all you need is a friend” (to resolve an issue). She says this tongue-in-cheek and is usually referring to a complex software challenge and “a friend” means someone who knows how to resolve your software issue, or a tool/reference to guide you towards resolution of your issue. Although she says it tongue-in-cheek, her statement holds true. In my observations, in many situations in life, such as taking an overwhelming project to sort, declutter and organize your stuff – sometimes all you need is a friend. Both friends were overwhelmed with the tasks before them. I can relate to being overwhelmed when it comes to a large decluttering/organization project of your own stuff. In my post The Fabric Purge! I share that during the sorting and reorganization of my fabric stash, I became so overwhelmed I sat on the floor and cried for a while, as there seemed to be no end in sight of my fabric purging and organization project. I could have definitely used a friend there, even if for just mere moral support. I think one of the biggest challenges to taking on a decluttering/organization project on your stuff, is SORTING YOUR STUFF. Why is sorting your stuff so difficult? Well, because it is your stuff. It is interesting to you, it has history, it brings back memories, it makes you think about things good and bad, it makes you realize what you forgot to do, it is meaningful to you. You can get stuck trying to sort through your stuff as you take that trip down memory lane or get anxious on what you have YET to accomplish. Friend with the Unwieldy Fabric Stash – For this friend I sorted her fabrics into what I thought were piles of the same collection, and presented those collections to her to quickly sort through and decide – keep or not keep. I noticed when she was left to sort from scratch she had some memory lane bonding with fabric. I was not pushy, but I kept her moving forward by continually asking her to make decisions about piles of fabric. Once she made a decision I boxed up the fabrics and put them on the shelf. She could not spend anymore time visiting with that particular fabric collection until we finished getting through her whole stash. I did let my friend visit with her unsorted fabric as she liked while I was sorting as she knew when I started asking questions, it was time for rapid decisions. Friend with the Desk-from-Heck – For this friend, first I sorted her papers (using my quick best guess from quick glance) into 4-6 general piles such as 1) important looking papers; 2) stuff she might want to keep; 3) business cards and small tags/cards; 4) photos; and 5) junk mail looking stuff. I made quick decisions and since I wanted to respect my friend’s privacy I did not read through any of the important looking papers (statements, business like correspondence, bills, etc.). If my friend had started sorting from scratch on her own, she might have gotten stuck on reviewing each important looking paper, etc. When I was done sorting materials from her desk into the various piles, I handed each pile to my friend and she made quick decision on each piece of paper of 1) keep; 2) recycle; or 3) save for immediate action. Before you know it her overwhelming pile of papers turned into a clean desk with a stack of important papers to go through on her own the next day. Plus by pulling out all the recycling (mailers, catalogs, obsolete papers) it made her pile that actually needed her attention look much smaller and less overwhelming. In both cases, I think the key to success is having someone you trust (such as a friend) do the initial sorting (even if they get it wrong); and then having a friend with you to encourage you (not pressure you) to make as quick decisions as possible. You can get stuck if you are sorting through your stuff alone. Even if your friend is not into organization and not interested in helping you sort, sometimes just having a friend there with you to hang out with while you work on your project, encourages you move forward. Sometimes all you need is a friend.